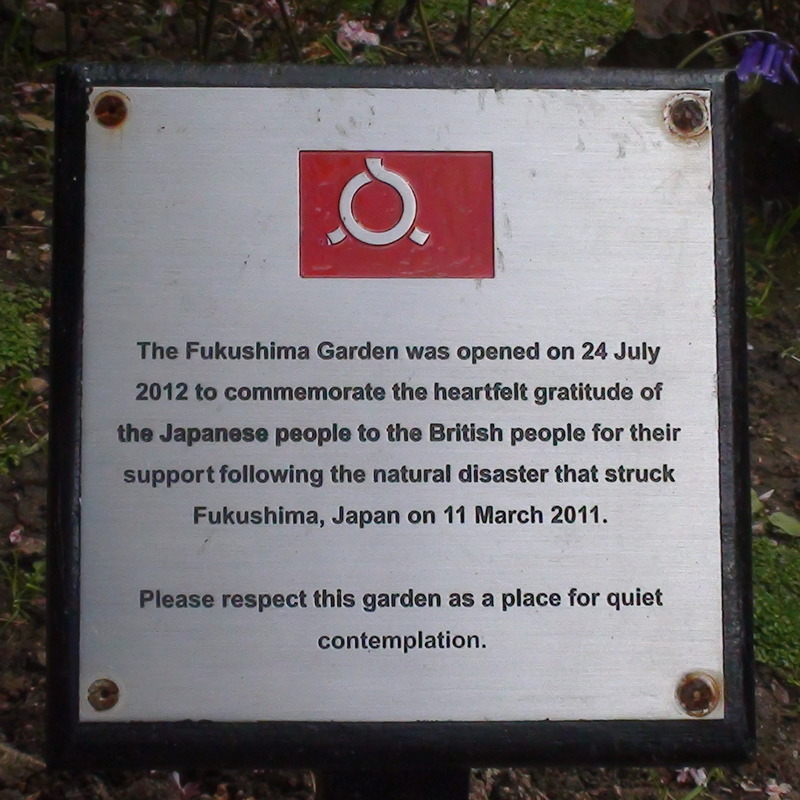 The Fukushima Garden was opened on 24 July 2012 to commemorate the heartfelt gratitude of the Japanese people to the British people for their support following the natural disaster that struck Fukushima, Japan on 11 March 2011. Please respect this garden as a place for quiet contemplation. The Empress and I, as well as so many of our people, were deeply moved by the immediate response of people in the United Kingdom, in the aftermath of the tragic disaster that struck Japan on March 11th last year. It was truly heartening, that so many people in this country, not only expressed their profound sympathy for the victims of the calamity, but also promptly organised a wide range of valuable relief activities, to help those in need. your kind and practical response has, I believe, further strengthened the deep friendship, that has already existed for such a long time, between the peoples of our two countries. We are, therefore, so glad that this commemorative occasion of the Diamond Jubilee of Her Majesty has made it possible for us, to convey directly to you, our heartfelt gratitude for your crucial role in initiating and carrying out those precious acts of charity. This is the text of His Majesty the Emperor's address on May 17, 2012 at the reception in the Ball Room of the Japanese Embassy, to the UK people who helped Japan following the disaster of March 11, 2011. The Kyoto Garden was constructed as part of The Japan Festival 1991 on the occasion of the centenary of the Japan Society in Britain. It was built by the Kyoto Chamber of Commerce and Industry with the help of many gardening companies in Kyoto and was presented to the Royal Borough of Kensington and Chelsea as a gift to commemorate the long-lasting friendship between Great Britain and Japan. The Kyoto Garden was opened by HRH The Prince of Wales and by HIH The Crown Prince of Japan on 17 September 1991. Generous support has been given in Japan and in the United Kingdom by the organisations listed below. 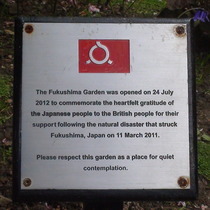 The photographed plaque is at the entrance to an extension to the original Japanese, Kyoto, Garden. The other two plaques are visually not very interesting and cover similar commemorative ground.